The ability for computers to live-stream has allowed us to communicate effectively with individuals all over the planet. On Wednesday 26th April, NASA used Amazon Web Services to take this to a whole new level – 300 kilometres above the earth, to be approximate. The stream was titled Reaching for the Stars: Connecting the Future of NASA and Hollywood. According to a press release from NASA, the aim of this media was to examine how scientific research and film-making is being taken to the next level by advanced imaging and cloud technology. Who would’ve thought that NASA would have anything in common with the Hollywood red carpet? 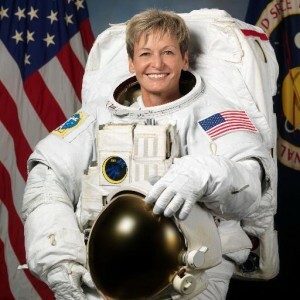 Panel participants included experts in virtual and augmented reality, engineers, Hollywood and NASA executives, Jack Fishcer and Peggy Whiston (pictured), both astronauts on board the craft. Sam Blackman, CEO of Elementary and Carolyn Giardina, technology editor of the Hollywood Reporter were also in attendance. The public were invited to view the footage live, although a 4K standard viewing screen would be required for the “full effect” to be seen. While it was not the first 4K footage to be broadcast from space, it is the first to be streamed live. 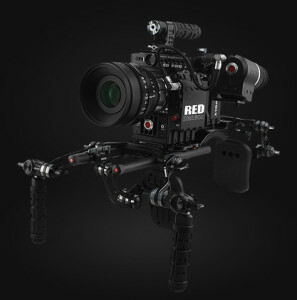 A RED Epic Dragon Cinema and Broadcast camera was used for the broadcast. The camera is capable of producing 6K footage, nine times higher than HD quality film. It was paired with an encoder from Nanoracks. This allowed the footage to be converted to be compatible with an internet platform. Slow-motion cameras can be used to capture experiment footage at in intricate level of detail. This can be shared with their research colleagues back on earth in real time. Astronauts now have the ability to live broadcast the outside of the International Space Station; this aids in research, communications and the film industry. Imaging and broadcasting will be pivotal to exploring further into the universe. This includes the discussion and planning of a journey and possible settlement in Mars in coming years. See a replay of the live-stream below.